Merkel's remarks came in the run-up to her meeting with French President Emmanuel Macron in the German city of Aachen on 22 January, when the two leaders are due to sign a new Franco-German treaty on cooperation and integration. In a video message on Saturday, German Chancellor Angela Merkel specifically touted friendly ties between Berlin and Paris, which she said are essentially self-evident. The message comes a few days ahead of the signing of a new cooperation treaty between Germany and France, which Merkel stressed is needed "because we believe that the world has changed dramatically". "We work in Europe, we want to give momentum to European unity. This dimension wasn't planned out in the old treaty", she pointed out. Merkel said that the new document will envisage more "cross-border cooperation" as well as bilateral collaboration pertaining to the economy and the labour market. 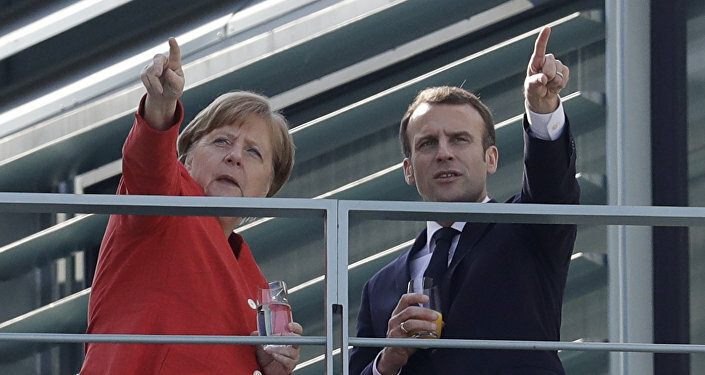 "We will supplement this contract with a list of projects that will be constantly updated to show how Germany and France continue to work together in Europe," she underscored. The German Chancellor touted Berlin and Paris as close partners in foreign policy, recalling that the two countries will be at the helm of the UN Security Council for two consecutive months this spring. 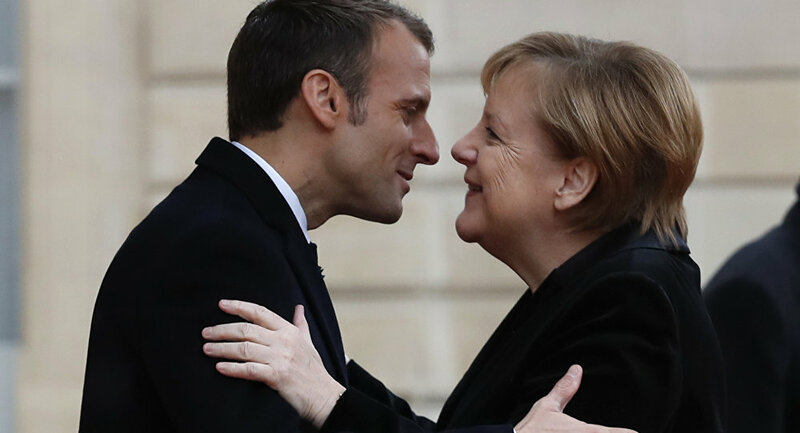 Earlier this month, the Elysee Palace said in a communique that Merkel and French President Emmanuel Macron will sign a new Franco-German treaty of cooperation and integration on 22 January, in a ceremony that will take place in Aachen City Hall. The new agreement will be built on the basis of the 1963 Elysee Treaty, which greatly contributed to the historic reconciliation between France and Germany. The 1963 document, which was signed by then-French President Charles de Gaulle and then-German Chancellor Konrad Adenauer, enshrined the post-war reconciliation between Germany and France. The treaty obliged the authorities of both countries to hold regular consultations on the main directions of foreign policy, security issues, as well as youth and cultural policy.